A long, long time ago, my friend TikiChris invited me to take part in the Londonist judging of the Best Cupcake in London. It was a career highlight. Two years later, I’ve found myself wondering if we really ought to have another competition, because I’ve tried two different bakeries recently that I think could give Faircake a real run for their money. The cake was spectacularly moist, and the butter cream frosting whipped to perfection. I only wished I’d grabbed a picture of it. 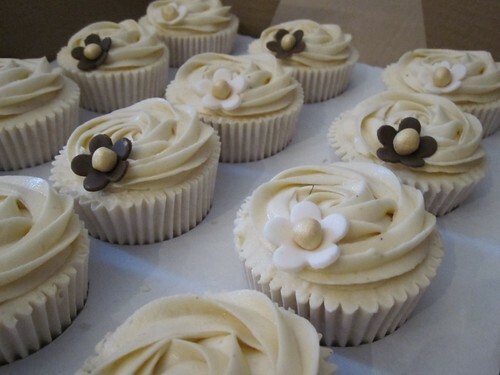 Shortly after declaring my love for Vanilla Rainbow, a friend of mine suggested I try his cousin’s bakery, PJR Cupcakes. 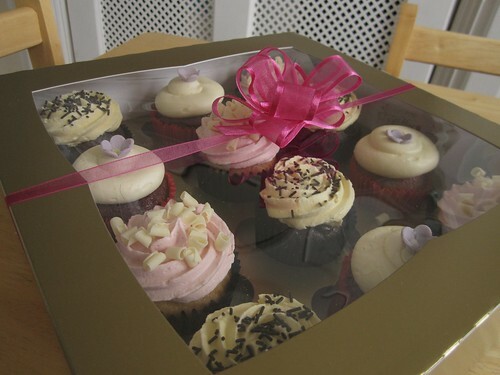 Within 24 hours ‘The Cupcake King‘ himself, hand-delivered 12 good-sized cakes to my front door. 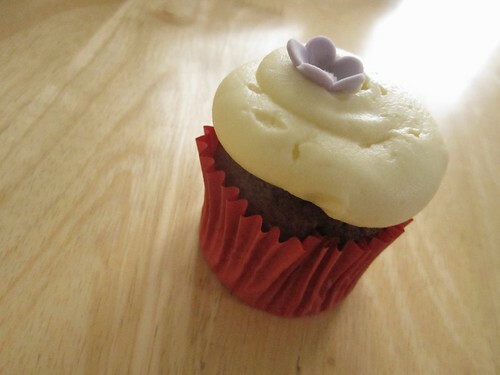 While the cake wasn’t quite as fluffy as Vanilla Rainbow, it had a good spring, and the cream cheese frosting on the Red Velvet cupcake was delectable. So pretty too! So, Chris – what do you say? Time for another round of judging?